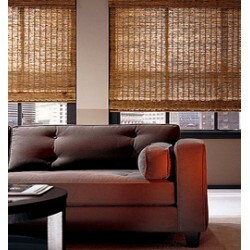 Woven Wood Shades- made of natural reeds fibers and bamboo to create a both formal and informal setting for every room in your home. For a beautiful, natural look which allows diffused light in, looking at the woven woods. It's like bringing the outdoors inside. Not only Affordable but will provide years of trouble free performance! Every shade has its own distinctive texture, grain, color, and pattern that can change the mood of t..